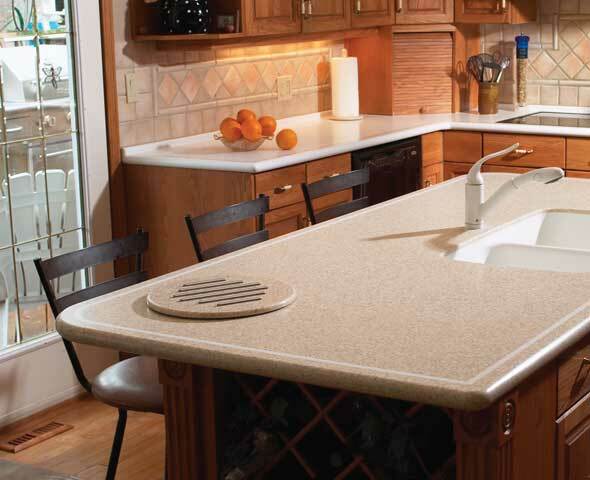 CORIAN BY DUPONT, PREMIUM SOLID SURFACE COUNTERTOPS OFFER DURABILITY AND DESIGN FLEXIBILITY. Colours not exactly as shown. Please visit any of our showrooms for an actual sample.